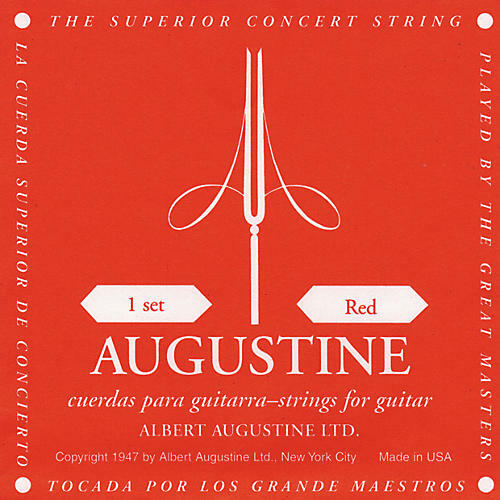 Classic treble nylon guitar strings with Augustine Red bass strings wound with a slightly lighter gauge of copper than Blue. Since 1947, Albert Augustine Ltd. has dedicated all its efforts to produce the highest quality nylon guitar strings available. In fact, Albert Augustine was the first company to produce strings of this kind. Since then, Albert Augustine has established itself as a major factor in the classical guitar field worldwide.